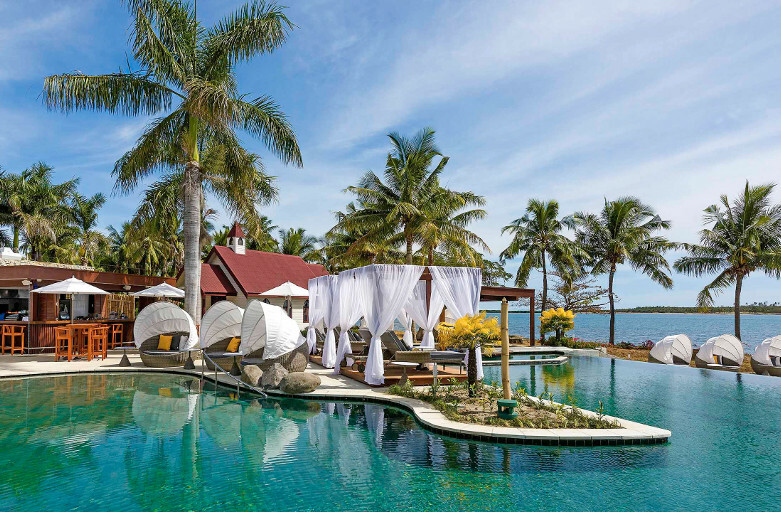 Experience a holiday in paradise at Sofitel Fiji Resort and Spa. Escape to the South Pacific and retreat to a Fiji beach resort merging luxury hotel facilities with the destinations natural beauty, vibrant local culture and an elegant French touch. Families discover a resort that caters perfectly to their needs. Family rooms come complete with child-friendly design, Sony PlayStations and are close to the children’s pool, water slide and kids club. Restaurants and activities speak to all ages. Couples find romance and intimacy in luxurious rooms and intimate beachfront suites. The lavish So Spa offers couples treatments in thatched bures while Adrenalin Water Sports features a wealth of excitement.